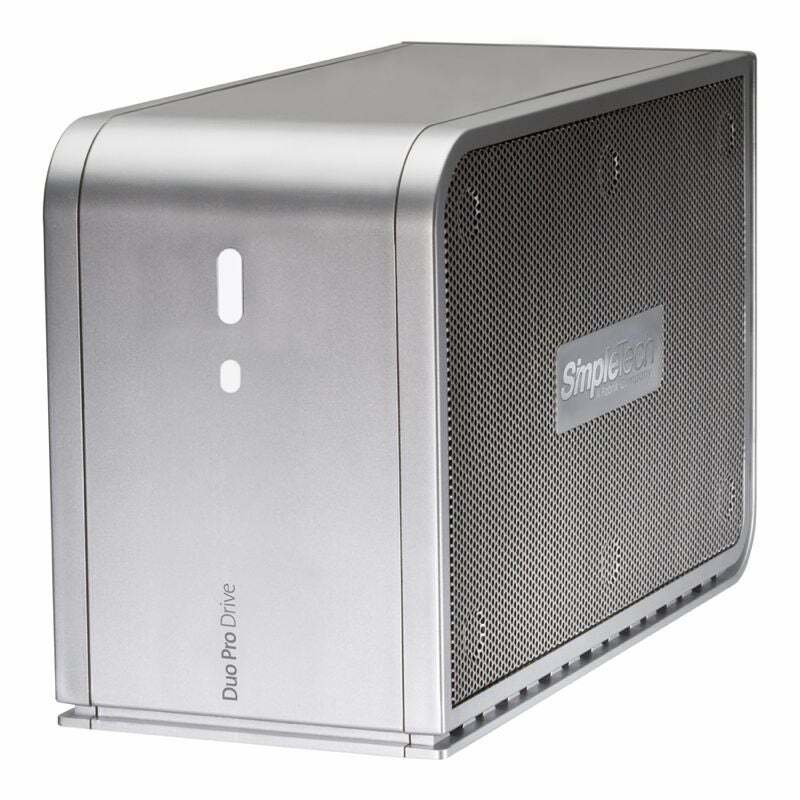 When Apple released its Time Machine backup tool in Mac OS X 10.5 last year,&#160;many hailed&#160;its convenience and simplicity. But your Windows PC comes with all of Time Machine's slick backup tricks built-in. The backup utility built into Vista and XP doesn't have a catchy name (it's called Backup Status and Configuration), but it's a powerful tool that gets far less attention than it deserves--and it costs nothing extra. Perhaps it should have a name like "Super-Better Backup," or "Burger, Fries, and a Milk Shake Backup." Apple's Time Machine makes backups on an automated schedule and allows incremental updates. So does Windows' backup app. Your PC can even match Time Machine's most interesting feature, rolling back any given file to an earlier version. I'll explain how to use all of these tools, and I'll provide tips along the way to protect your data from disaster. An external hard drive like this SimpleTech Duo Pro makes a convenient destination for your backups. The most secure backup solution is one that stores your data far, far away from your PC--like, across town in a bank safe. Second best: an Internet-based storage service. Third: a Network Attached Storage (NAS) device. An external, USB-, FireWire-, or eSATA-connected backup drive such one of the models on our Top 10 External Hard Drives chart is a good choice, especially if you store it somewhere other than on top of the PC it's backing up. As our lab tests have shown, eSATA and FireWire 800 drives are faster than USB 2.0 and FireWire 400 drives (though few PCs come standard with the faster interfaces). Try to set up a routine of taking the drive with you when you go to work, and bring it home once a week for the backup operation. An even better strategy: Use two external drives, making two sets of backups. With this alternating pattern, you can keep one of the drives at work, or in a fireproof safe, a bank deposit box, a friend's house, or other off-site location to protect your data from a home-office catastrophe. A network backup offers a great way to store files, and the LaCie Ethernet Disk Mini Home Edition is a good option for the home office, especially if you have more than one PC to back up. But network-attached storage drives are substantially slower than drives that use eSATA, FireWire, or USB connections, and because they're often shared among multiple PCs, they usually stay in once place, greatly diminishing their disaster protection. If your PC has only a single hard drive and you can't (or don't want to) find an external solution, you can use Windows to make a second partition, and save the backup data there. Your PC will treat the second partition as a second drive, which can protect it from some simple types of data corruption. But if the drive mechanism physically fails, you'll lose access to the backup too, of course. Note: Windows XP won't repartition a disk that's in use, so you'll need to&#160;employ a utility like the&#160;free Partition Logic instead. Because the Windows backup tools have changed quite a bit with the release of Vista, the next step in creating your backup plan depends on which version of Windows you're running.